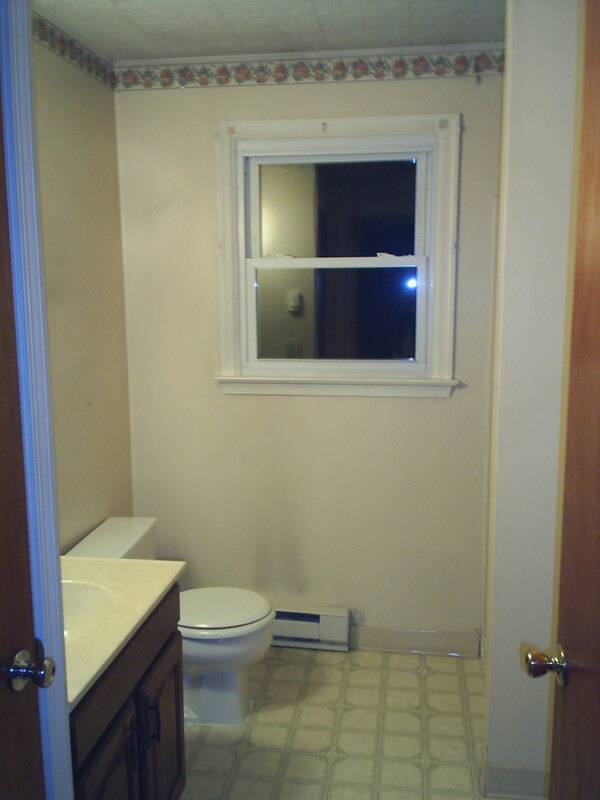 I found the old pictures of our bathroom. Can I get a "YIKES!"? Our house used to be a rental. I guess that's the only reason why it was never fixed up. But seriously, even so--can you imagine living in a dump like this?? That wallpaper border was a pain in the you-know-what to take off. And EVERYTHING needed painting. So I kinda went crazy. A friend and I made a stencil from the curtain fabric and painted those swirlies on the wall. We added the crown molding and corner pieces and pretty much painted every surface in there including the vanity, doors, and trim. 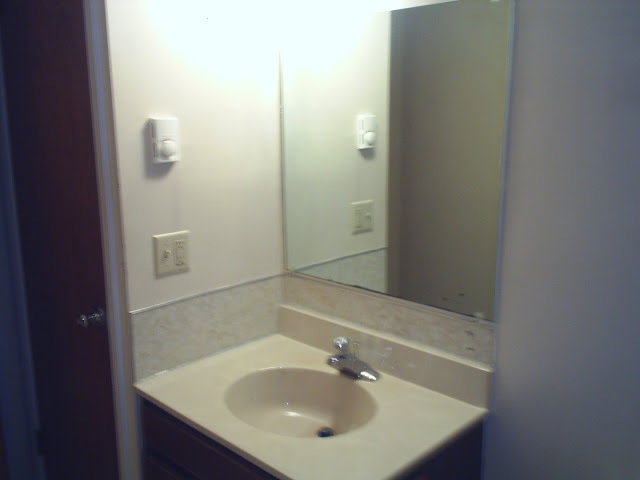 We swapped out the huge builder grade mirror with a recessed one, added new lighting, and put in a tile floor. It was bright, fresh and fun and I loved it. I would have told you it was my favorite room in the house. But, of course I got sick of the green soon enough. So then we went a completely different direction: soothing, calm, serene. We added the bead board and freshened everything up. I've never been a bright colors person but my sister is. 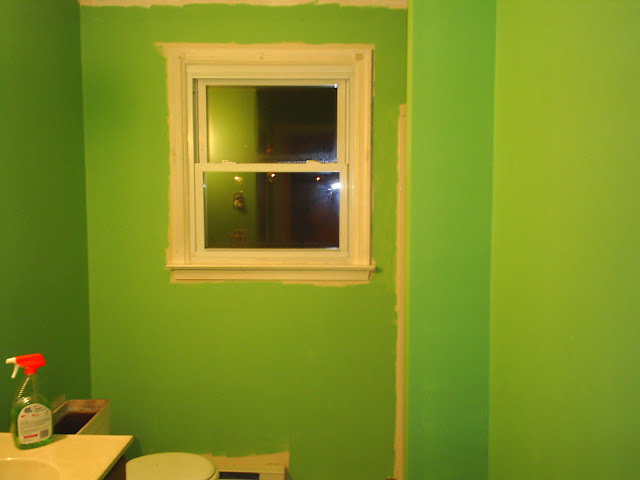 Her bedroom growing up was that color of green!